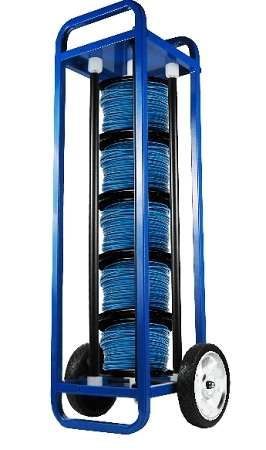 Store and protect your industrial, construction and warehouse wires with the Spoolmate Wire Cart! Goodwin Products, Inc patented wire cart incorporates an easy latch system and spring loaded bar for quick and easy spool access. 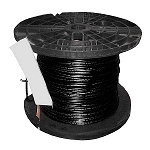 Holds up to 5 spools of 500’ of 10, 12 and 14 gauge wires (up to 200lb capacity). 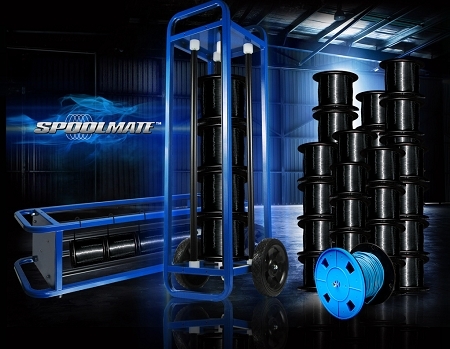 Spoolmate’s blue wire cart features integrated handles, heavy-duty steel rollers and 6” wheels for simplified mobility up ramps and over dirt. 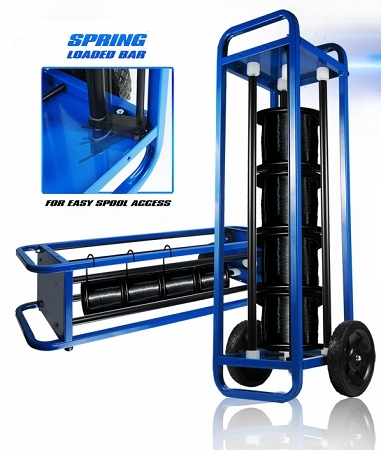 Dimensions of the Spoolmate wire cart are 13-1/2"W x 10”D x 36”H and weighs 21 pounds. Wire carts are manufactured with a durable steel frame to withstand harsh environments with dirt and chemicals. One year manufacturer warranty is included. 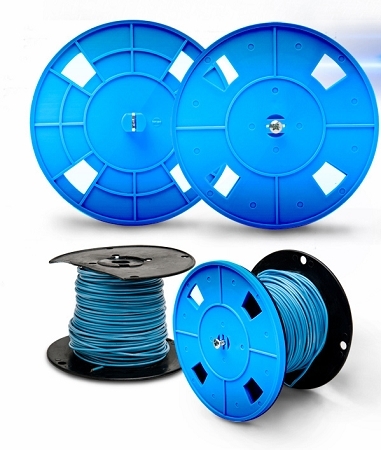 Spool-Aid Repair Discs are also available as an inexpensive alternative to replacing broken wire spools. Simply just screw the repair disc on top of the existing spool disc and voil?, good as new! Your products and service are both world class!